The highly-respected Ferdinand Porsche founded his eponymously-named automobile company in Stuttgart, Germany in 1931. Since then, the cars produced there have become synonymous with performance, style, and luxury. But if you drive a Porsche in the Lafayette area, you know that already. You also know that a Porsche can be a high-strung animal, requiring the skills of an expert auto mechanic to perform the car repair and maintenance necessary to keep it running to factory specs. That’s where we come in. The ASE-Certified auto mechanics of Guaranteed Automotive & Transmission Service are highly trained in all facets of Porsche car repair. No matter if you drive a 911, Cayenne, Boxster, Cayman, or other model, we are uniquely qualified in the Lafayette area to work on your Porsche. Our immaculate shop features the latest in automotive diagnostic tools, and our ASE-Certified auto mechanics are highly trained in their use. That means your Porsche couldn’t be in better hands. From the moment you enter our car repair shop, both you and your Porsche will be pampered. For you, we have a comfortable waiting area, complete with complimentary refreshments and children’s play area. If your Porsche repair takes longer, we’ll gladly get you where you need to be in the Lafayette area in our shuttle, or if you prefer, arrange a discounted rental car from Enterprise. 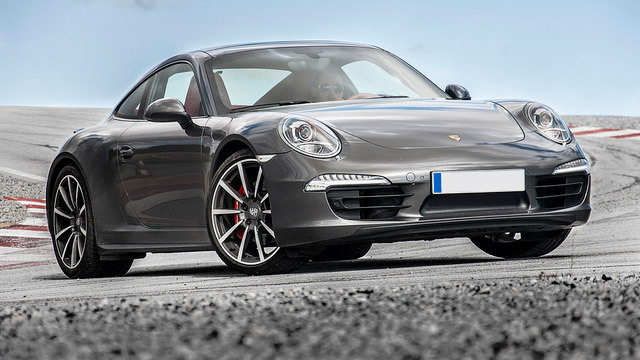 So the next time your Porsche is in need of expert car repair, trust it to the auto mechanics at Guaranteed Automotive & Transmission Service. We’ll have you back on the road in no time. Schedule an appointment online , call us at or stop by. Guaranteed Automotive & Transmission Service is conveniently located at 3742 State Rd 38 East Lafayette, IN 47905.